Dhaka Dynamites skipper and ace left-arm spinner Shakib al Hasan and their pace bowler Rubel Hasan had a stiff competition between themselves in the ongoing Bangladesh Premier League that eventually ended when the former outclassed the latter to become the highest wicket. The presence of Shakib never looked to be dominating in the ongoing BPL unlike the past where he single handedly provided Dynamites with an occasion to cherish on regular intervals. 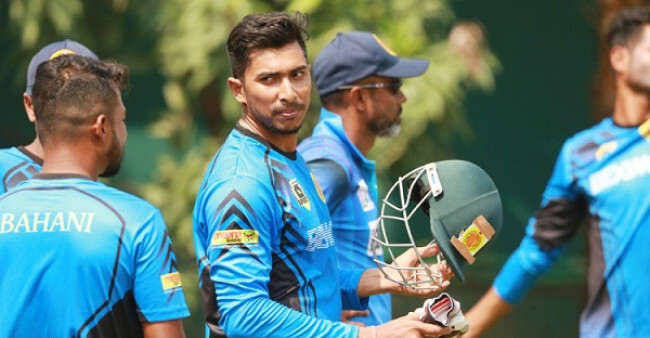 Rubel also claimed to be going pretty ordinary as he never managed to showcase any outstanding performance until his four wicket burst against Rangpur Riders helped them earn a place in the final as it eliminated the defending champions from the tournament. Dynamites had a mixed run in the tournament but they were looking forward to Shakib and Rubel to deliver in the final and though the left-arm spinner achieved a personal mile stone, it was Tamim Iqbal who hogged all the spot light in the final by hitting a superlative century for the Victorians to enthrall the crowd present to witness one of the best T20 innings played by a local batsman. 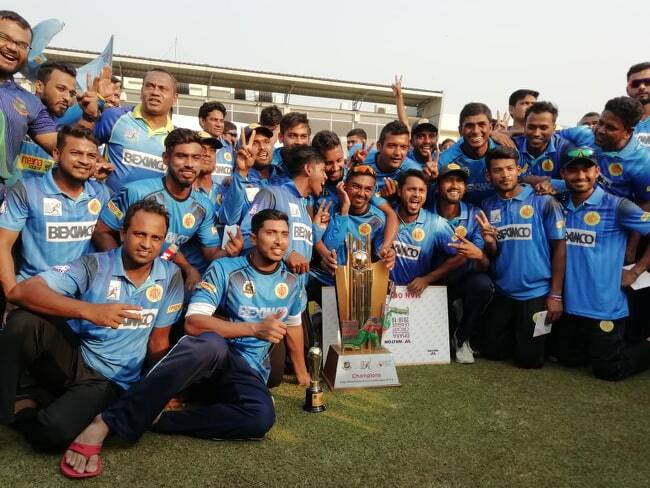 Tamim seemed to be on a different zone totally in his first BPL final as he thrashed unbeaten 141 runs to help Victorians pile 199-3 in the final. But more than anything else it seemed the crowd witnessed Tamim the way they had seen him growing until he made his transformation to serve the purpose of the team by remaining satisfying in the sheet anchor role. The way he batted it showed the class is permanent and form is temporary and now he is on the verge of turning him from the shadow of a good batsman into someone with the potential to go the next level. The dominating left-handed opener had the taste of successive ducks for the first time in his career before making sure he gets back into business with a bang against Titans as he made 35, 4 and 21 runs in his first three innings of the ongoing BPL season six before eventually shrugged off his poor form with a superb 42-ball 73-run against Titans and since then he never looked to be out of form at any point of the tournament. 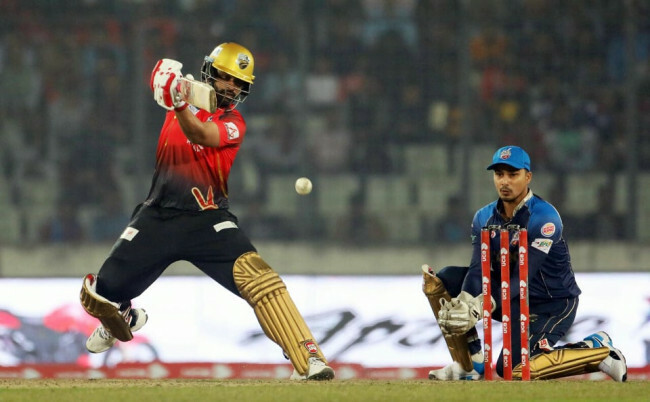 Tamim's scintillating knock of 141* lit up the stadium as he smacked 10 boundaries and 11 maximums in his 61-ball knock and that has given the Victorians an edge on this night of the final. Victorians needed Tamim to shine more so after losing Evin Lewis cheaply and it looked as if the urgency gripped his mind as he batted with the mission of showing a one-man demolishing act. 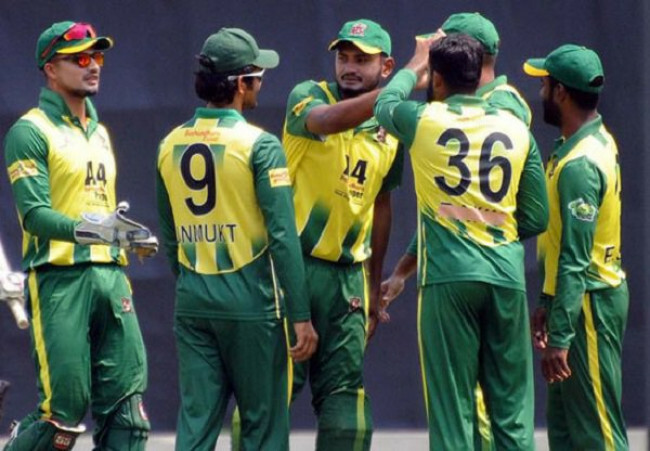 Tamim can claim himself lucky as Qazi Onik’s back of a length delivery bounced more than he expected, resulting a catch behind the wicket but Nurul Hasan failed to hold on it despite diving full length. He was on 24 then. The ball tickled away to the third man fence.